Hulman & Company and Indianapolis Motor Speedway Chairman of the Board Emeritus Mari Hulman George, died in the early hours of Saturday morning with her family by her side. Mari served as IMS chairman from 1988 to 2016, but motorsports and the world-renowned racetrack were among the cornerstones of her life since her father, Anton "Tony" Hulman Jr., purchased the facility in November 1945 and saved it from almost certain demolition after World War II. She was a pioneer as co-owner of a team that raced at the highest levels of Midwestern auto racing, in the 1950s and 1960s, a rarity for a woman at the time. She was also known as a philanthropist, generously contributing to projects regarding arts, healthcare and animal care. Mary Antonia Hulman was born Dec. 26, 1934 in Evansville, Indiana, the daughter of prominent business magnate Anton "Tony" Hulman Jr. and Mary Fendrich Hulman. "Mari" attended primary and secondary school at St. Benedict in Terre Haute and the Ladywood School in Indianapolis, and attended Purdue University. When her father bought IMS in November 1945, Mari was immersed into the world of auto racing, and even before her 21st birthday, she’d joined with longtime family friend Roger Wolcott to form the HOW racing team. Fielding AAA and USAC entries in Sprint and National Championship, HOW gave winning opportunities to such legendary drivers as Jerry Hoyt, Eddie Sachs, Tony Bettenhausen and Roger McCluskey. Another young driver for HOW, Elmer George, became her husband in April 1957. Mari fielded an entry for George in the Indianapolis 500 in 1962 and ’63, and finished a career-best 17th in the former year, after receiving relief help from Paul Russo and A.J. Foyt. For decades, Mari hosted the "Racers Party" on the opening weekend of the Month of May leading into the Indianapolis 500, and she celebrated friendships with many drivers from her stint as a team owner during the "Friends of the 50s and 60s" event during the week between qualifying and the race in May. Mari also was a constant fixture at the track with her family during racing events at IMS, and race fans worldwide also knew her for delivering the famous command to start engines for the Indianapolis 500 and Brickyard 400 for more than 15 years from the late 1990s until 2015. IMS also served as a platform for some of Mari's tireless philanthropic efforts, such as the "Save Arnold" Barbecue which united drivers, racing personalities and media with Indiana Special OIympic athletes in sports demonstrations and other activities. The barbecue raised more than $1m for Indiana Special Olympics. 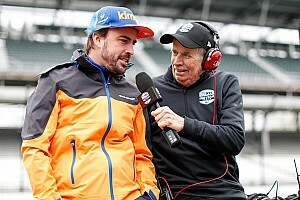 IMS prospered and evolved into a new era during Mari's tenure as chairman of the board from 1988 to 2016, expanding its annual schedule to include the Brickyard 400 for the NASCAR Cup Series, and for a while, Formula 1 and MotoGP. 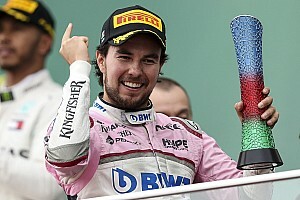 That evolution required significant evolution to the Speedway, such as the construction of the new Pagoda control tower, an infield road course, new pit-side garages and various safety improvements. IMS and IndyCar also led the development of one of the greatest safety innovations in motorsports history, the energy-absorbing SAFER Barrier, during Mari's tenure as chairman. 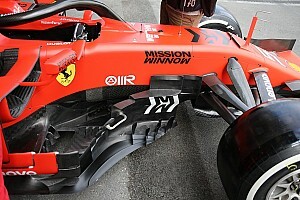 That barrier system was first installed in 2002 at IMS and soon adopted at nearly every major oval track in North America and many road courses worldwide. Mari was inducted into the IMS Auto Racing Hall of Fame in 2015, but her net spread much wider. She was a trustee at the Rose-Hulman Institute for Technology in Terre Haute, and the Hulman-George family also made large contributions to the Indianapolis Museum of Art, Indiana State University, Purdue University, Indiana University and Saint Mary-of-the-Woods College, among other art and educational institutions. Mari also was a leading charitable force to benefit animal care, especially for horses and greyhounds, two of her greatest passions. The Mari Hulman George Stakes remain a prestigious annual stakes race at Indiana Downs, in tribute to her dedication to horses and racing. In 2001, the Indiana Department of Homeland Security renamed its search-and-rescue training area at Camp Atterbury the Mari Hulman George Search and Rescue Training Center, recognizing Mari's contribution to the care of animals displaced and affected by disasters. Mari is survived by three daughters, Nancy George, Josie George and Kathi George-Conforti; a son, Anton H. "Tony" George; a stepdaughter, Carolyn Coffey; seven grandchildren, nine great-grandchildren and her longtime companion, Guy Trollinger. She was predeceased by her husband, Elmer, and a stepson, Joseph George. A statement issued by Tony George stated: “Our mother was such a unique, wonderful person. She loved her family, friends, auto racing and animals with equal passion. “She was a quiet pioneer in so many ways, from owning a race team in the 1950s and 1960s to overseeing a period of tremendous growth and evolution while chairman of the board at IMS. She was known by millions as the woman who gave the command to start engines for the Indianapolis 500 and other events at the Speedway, but her true legacy will be the generous and kind philanthropy she learned from her parents. “That compassion and desire to help people and animals every day are the true hallmarks of her incredible life. We love her deeply and will miss her every day, while ensuring that her spirit and generosity live forever at IMS." Mark Miles, CEO of Hulman & Company, said: “Mari Hulman George was one of the nicest, most gentle people you would ever meet, but she also was an incredibly influential leader in American motorsports and the state of Indiana for the last 60 years. “She combined a true passion for auto racing with a common, human touch toward all, especially drivers and fans. Generations of Hoosiers have benefited from her tireless charitable work, and her commitment to animal care is exemplary and a mirror of her kindness. President of IMS, Doug Boles, added: “The Hulman family's legacy will be felt for generations across Indiana. 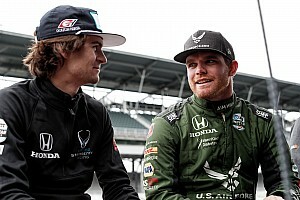 And, Mari Hulman George's continuation of the family's community leadership, giving spirit and compassion defines well the family and its Hoosier heritage. “Mrs. George was committed to the long-term health of the Indianapolis Motor Speedway as a treasured Indiana asset, and her stewardship as chairman set the tone for staff and others involved with IMS. We were most impacted by her charitable heart and dedication to causes and organizations that made a difference to our community. 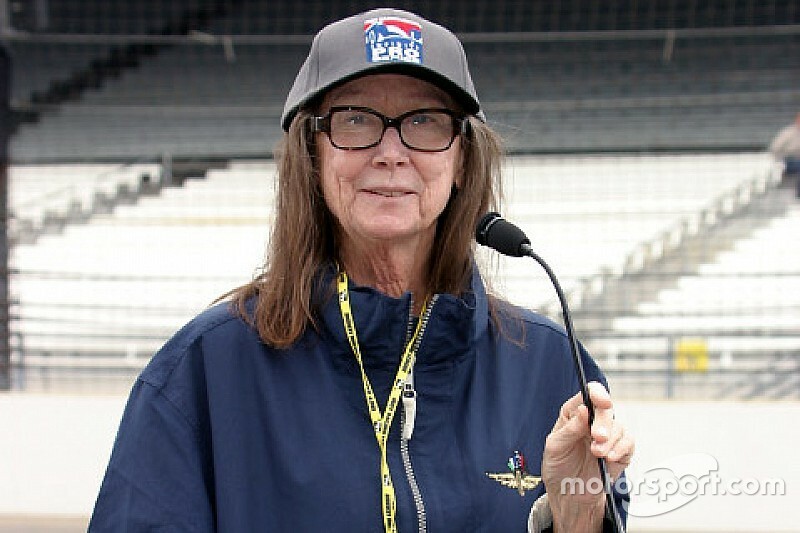 NASCAR Chairman and Chief Executive Officer Jim France said: “Mari’s devotion to Indianapolis Motor Speedway was only surpassed by her kindness. Her tireless philanthropy and her passion for auto racing leave a legacy that touches the lives of millions.